Our Patron ropes are allround static ropes which are exceptionally appealing because of their low weight and high breaking force. 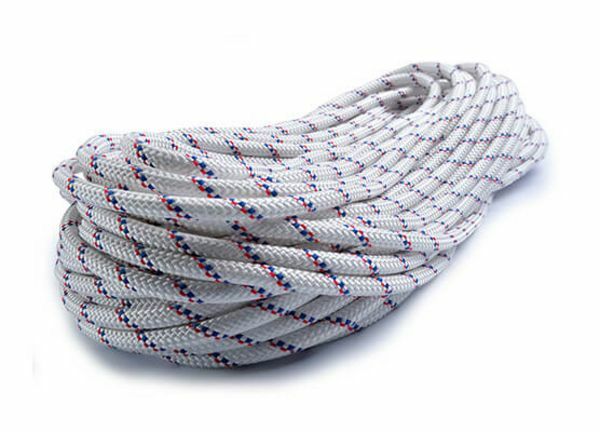 Due to the high strength and the low danger of cracking, Patron ropes are the right choice for many different applications from top roping to hauling and anchoring. TEUFELBERGER’s Patron is a 100% polyamide (nylon) European style static rope. Its low weight and high breaking strength give our Patron static series their special appeal. Due to the high strength and low tearing risk of Patron ropes, they are the right choice for a multitude of different applications. In climbing, Patron is perfectly suited for hauling equipment or rappelling for example in big wall climbing or for climbing photography. The twisted 32-strand braided cover provides high dirt resistance, better grip, and high abrasion protection. Our Patron range ropes are certified to EN 1891B (9 mm rope) and EN 1891A (10 mm, 10.5 mm, and 11 mm ropes). These cords are proudly made by expert crafts men and women in our Czech facility in Veselí nad Lužnicí.